Vikings, they set our wallets on fire, and pillaged our hearts. Now they’re looking to take over our house, will they succeed? They’re doing a pretty good job so far! We can really see the appeal of Viking motifs. Nowadays Vikings aren’t so much remembered for their pillaging ways, but more for their sense of adventure. 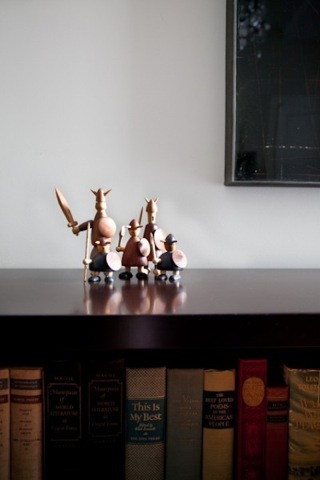 These cool guys are made by: “Brdr. Bonfils” in Denmark, circa 1950s. We’re still trying to find some additional information about them, but we haven’t come up with that much. They all carry the same markings on the bottom, and we were lucky to have one with the original sticker still on it’s feet. They would have been so much fun playing with these as a kid, as all the pieces can be detached, limbs and heads flying everywhere! Oh my! From Modern 50. 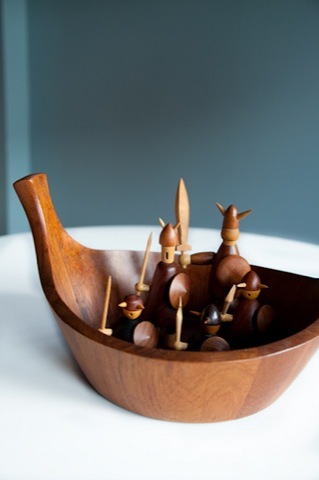 Our Dansk Viking Bowl Designed by Jens Quistgaard is a rare example of Quistgaard’s early work with Dansk in the 1950s. 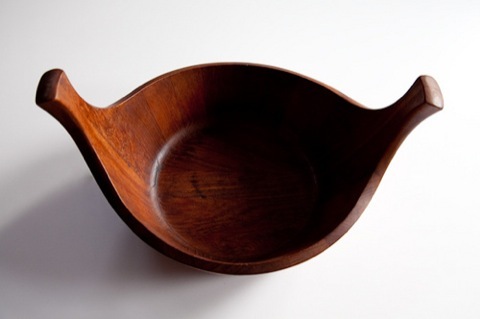 This staved teak bowl was inspired by the hulls of Viking ships, and old Japanese water buckets. 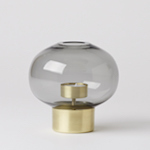 From Modern 50. You might remeber this guy from our Around the House: Teak Wall Unit article, this solid glass figure is by Hadeland Glassverk of Norway. 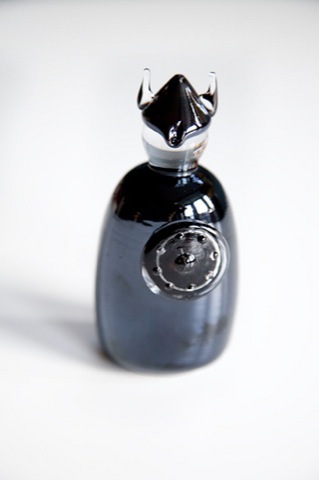 We love the combination of fluid lines and black glass, it’s an iconic symbol of strength, made from such a delicate material. « We love what you’ve done with the place.